Following the Grondstoffenakkoord (‘Raw Materials Agreement’) the Netherlands face the challenge to shape the transition towards a completely circular economy by 2050. 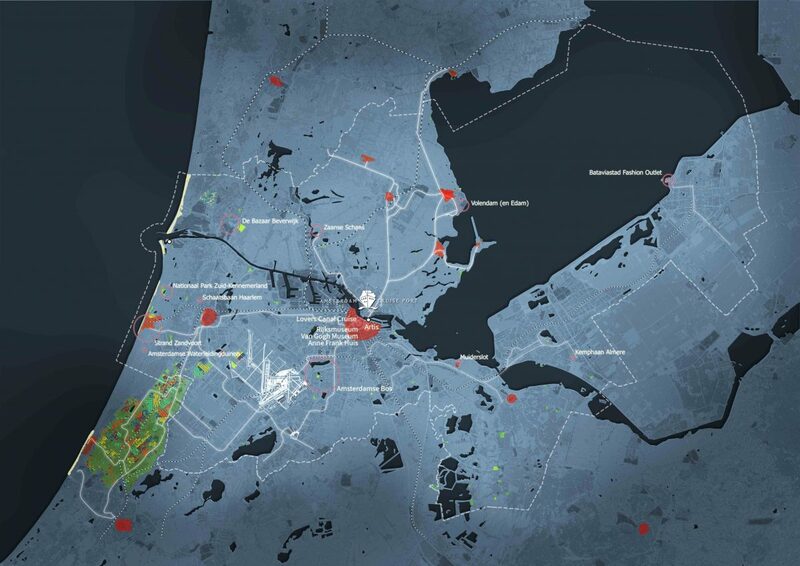 The Amsterdam Metropolitan Area (AMA or MRA in Dutch) wants to be on the forefront of this development and is even aspiring to become one of Europe’s most sustainable metropoles by 2025. As part of the development of the 2018 draft of the action program for the next three years, FABRICations compiled an atlas of priority material flows in the region along with relevant sectors and innovative initiatives (i.e. 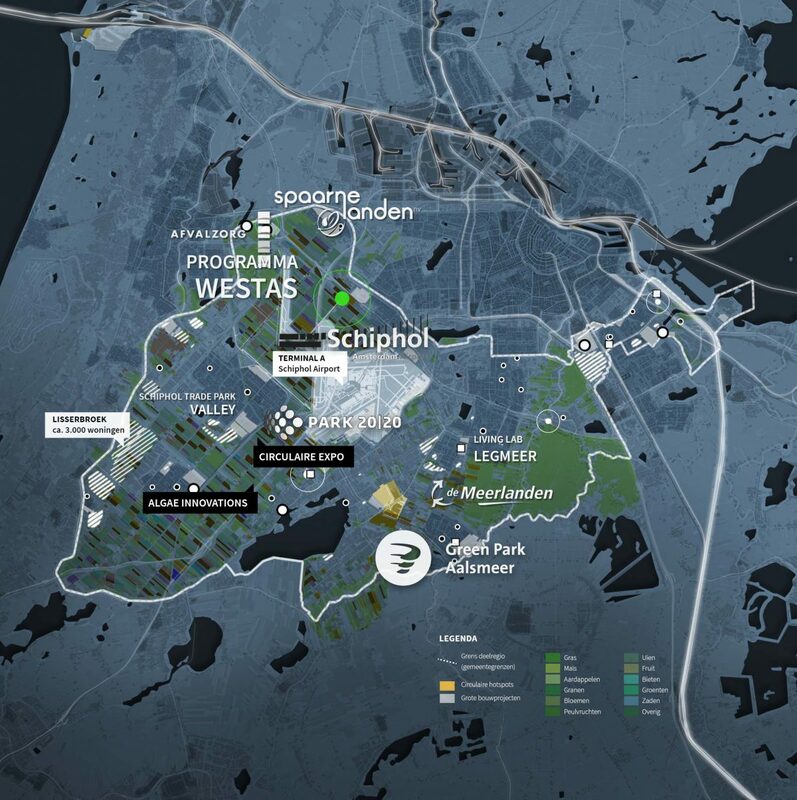 Westas, Schiphol Trade Park, Floriade and Buiksloterham) that need to be taken into account in order for the AMA to attain their goals. Six flows were prioritized in the atlas: biomass, textiles, plastic, diapers, e-waste and construction waste. These flows were chosen not because of their volume, but because of the following three criteria: (1) the flows compromise a significant share of waste from households and most economic sectors, (2) the AMA is responsible for collecting and processing the waste of these flows, and (3) biomass, plastic, diapers and textiles are problematic flows as they often remain unseparated and therefore incinerated. The sectors were selected based on their importance for the circular economy. This could be for a variety of reasons: because of the international appearance, the economic importance and / or the large scale of raw material and material flows. It concerns the following sectors: services, tourism, industry, consumer goods, construction and agriculture. The analyses of material flows and sectors resulted in a range of opportunities for the sub-regions of the AMA. For instance, Amstel-Meerlanden, known for its large amount of green houses, has an opportunity to reuse organic waste as biomass. Conversely, the biggest opportunities for the City of Amsterdam will lie in reusing construction materials for new developments, amongst others. 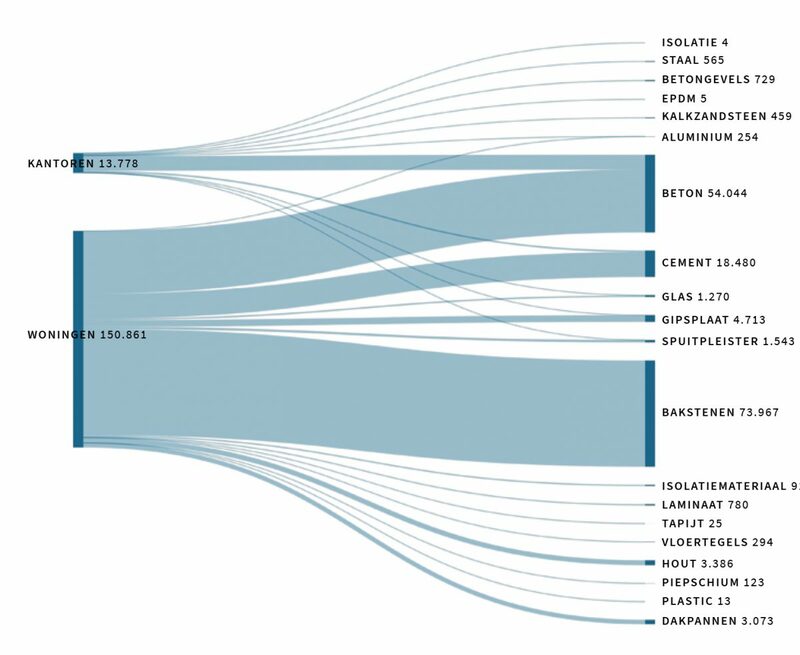 Corresponding to the industry map is the Sankey diagram. 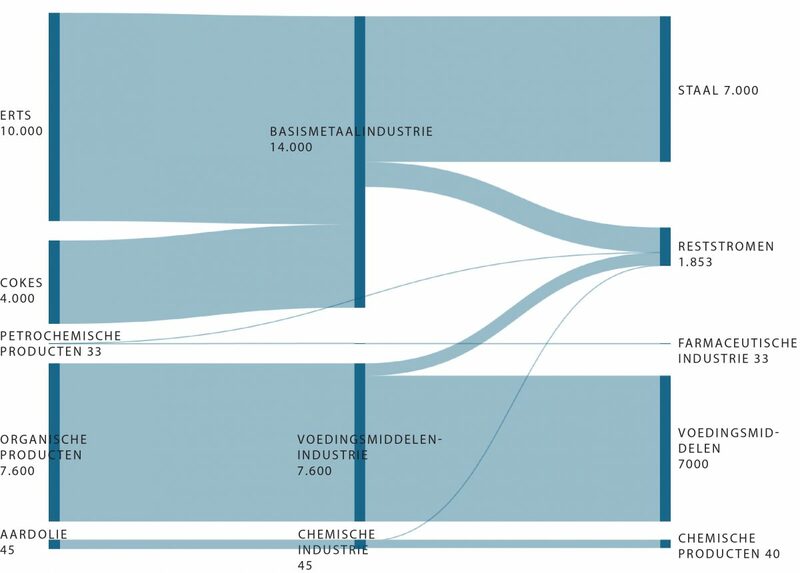 The Sankey Diagram shows which resources are processed in the metals and the food industries. The Construction Sankey shows which materials come out of residential buildings and office buildings. 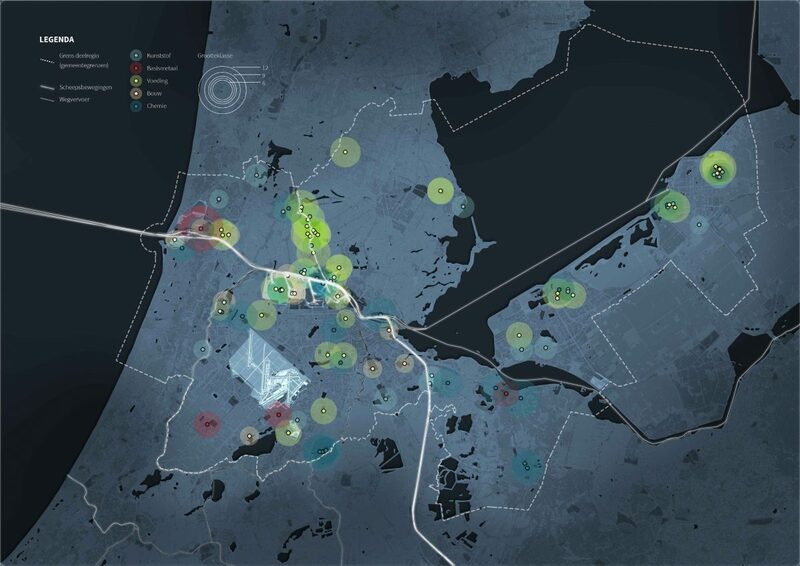 The conclusion map of the Amstel-Meerlanden sub-region shows the significant locations for agriculture and a range of forward-thinking initiatives on circularity.